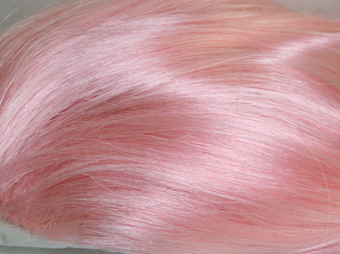 Perky is a light pink - sometimes the color is more on the cool toned side, sometimes it's a bit more neutral toned. 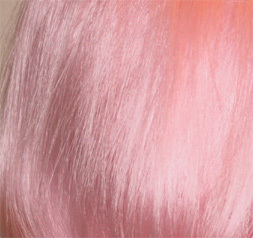 If you want to see even more Perky photos, go to the Brush vs Comb page. 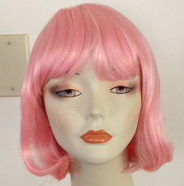 If you want a pink wig in the New Look collection, check out the Light Pink color page.